Are you looking to beat the Texas heat? Are you looking for hours on hours of fun in the sun? 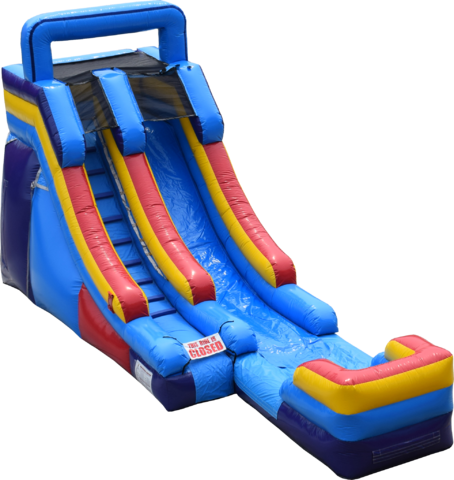 Then look no further than our 15 foot Basic Water Slide! This basic primary-colored slide is perfect for literally ANY party. Rent online or call today to secure your spot and have the party everyone will be talking about!